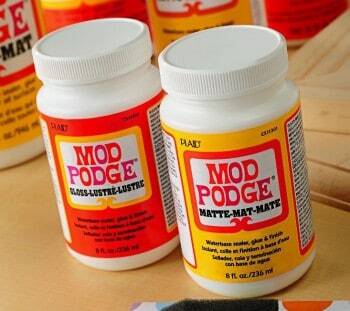 Use Mod Podge and pictures to make a fun photo bracelet! 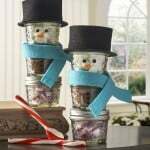 This is so easy even a kid can make it – and it makes a great gift. Hello everyone! 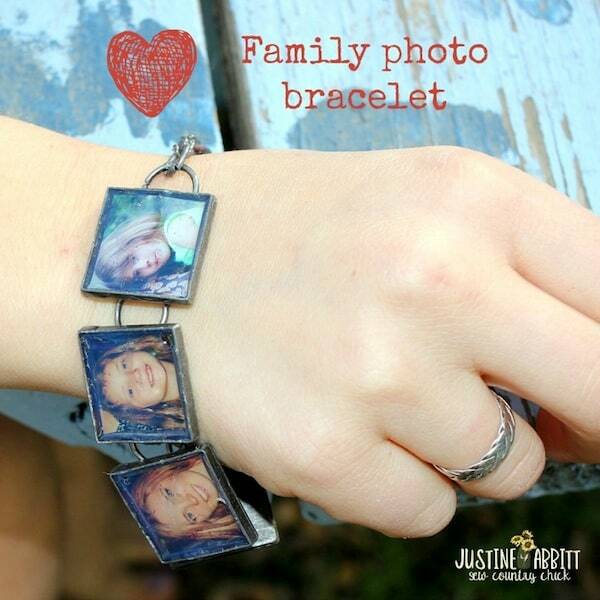 Justine from Sew Country Chick here and today I have an easy family photo bracelet tutorial to share with you. Actually, my eleven year old daughter made this for me and I thought it turned out so well that I wanted to share how she did it with you since it's such a quick, but nice project for a gift. 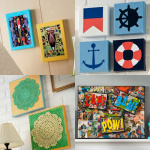 Isn't she just so crafty? And aren't my kids cute? Haha! 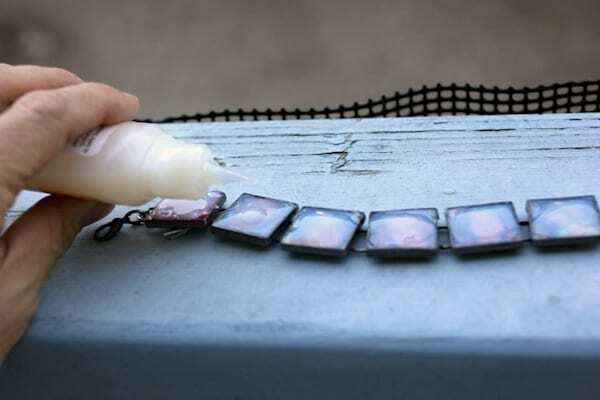 To make the bracelet she used a brass bracelet with square blank spaces from the hobby shop, some Mod Podge Dimensional Magic. 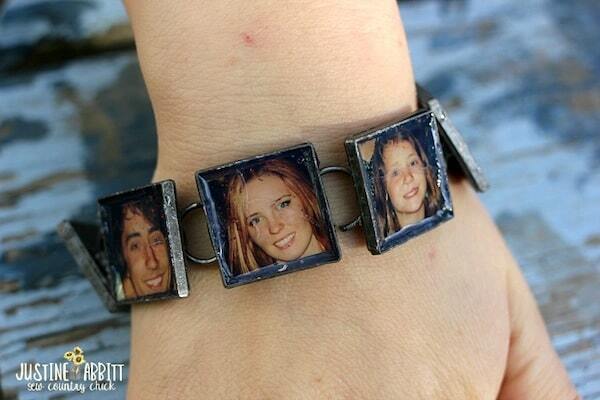 and a photo she found with our families faces that would fit into the little squares on the bracelet. 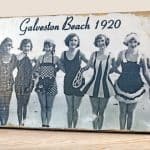 Tip: your best bet is laserjet printed images or photo paper for this project – inkjet images will smear! 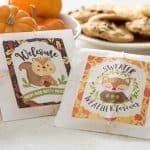 Once you cut out your photos to use, add them to the squares, and then fill each square with the Mod Podge Dimensional Magic. Let dry for a few hours. 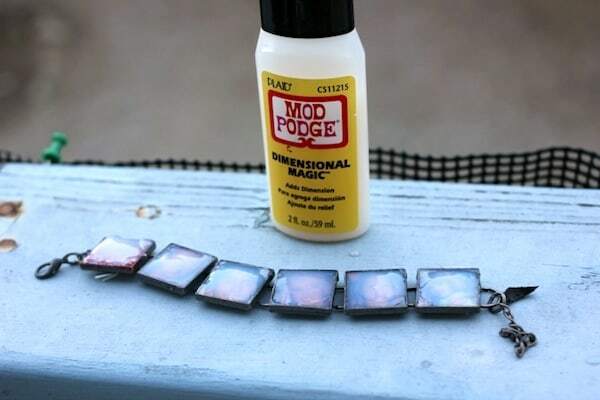 Try not to fill the squares to the very top to prevent the Mod Podge from getting all over the rest of the bracelet. 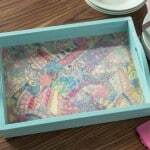 Instead, you can wait for the first layer of Dimensional Magic to dry, and add another layer. 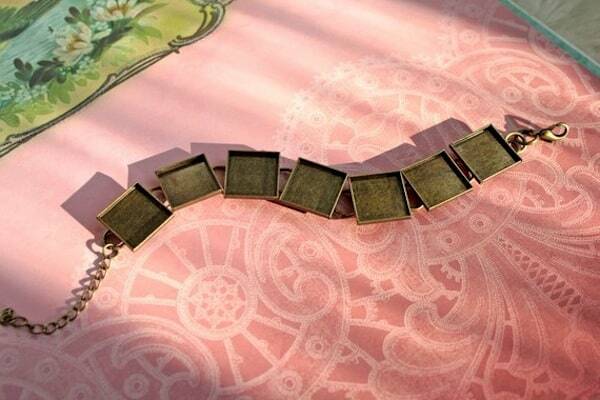 This bracelet makes a great gift for someone you love. I know I love mine!